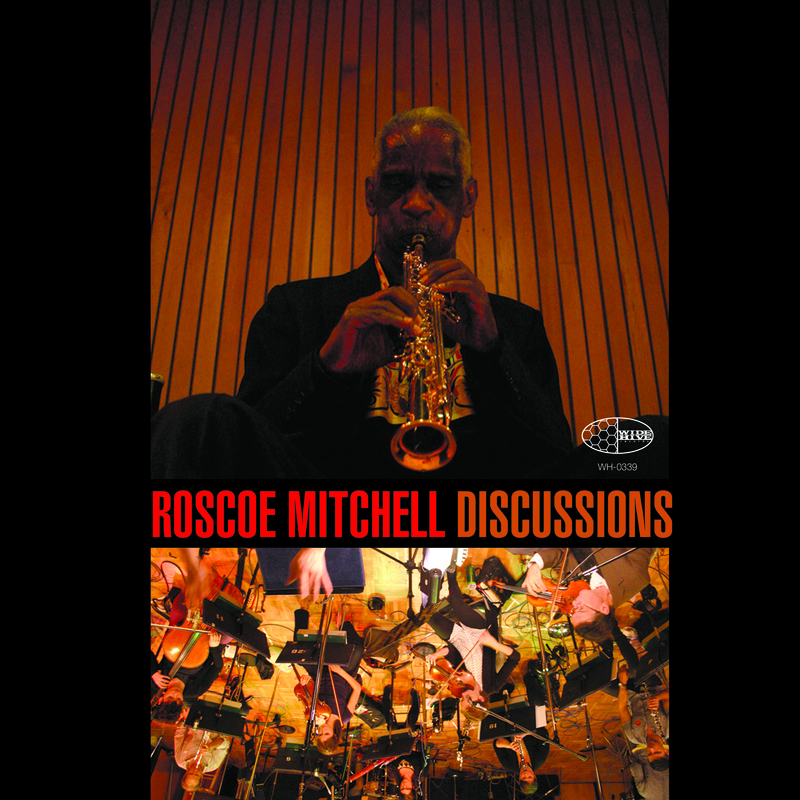 Roscoe Mitchell’s music was conducted by Ilan Volkov for the first time in February of 2014 in a concert also showcasing compositions by his colleagues Fred Frith and George Lewis. Volkov led the BBC Scottish Symphony Orchestra in a performance of “NONAAH” for Orchestra, which represented a personal milestone for Mitchell, as his original piece “NONAAH” for solo saxophone had undergone an expansive transfiguration at his hand. His translation of this solo piece into a work for full orchestra presaged the work he would do on the “Conversations” series, the premiere of which was once again entrusted to Volkov. Mitchell brought pieces from the “Conversations” series to Canada in October of 2016. On October 15th and 16th, his music was performed by the Montreal/Toronto Art Orchestra at Amphithéâtre du Gesú, in Montreal and at St-George-the-Martyr Church in Toronto, respectively. On April 25th, 2017, Roscoe premiered selected sections of “Distant Radio Transmission” with Petr Kotik conducting The Orchestra of the SEM Ensemble at the Bohemian National Hall in New York City. On May 6th and 7th, 2017, the composer presented the United Kingdom premieres of "Rub for Orchestra,” "Who Dat for Orchestra,” "Frenzy House for Orchestra and Improviser” (with Giovanni Trovalusci improvising on flute), "They Rode for Them Part Two for Orchestra and Improviser” (with Mitchell himself improvising on sopranino saxophone), and "Splatter for Orchestra” with Ilan Volkov recapitulating his role as conductor, leading the BBC Scottish Symphony Orchestra in Glasgow, Scotland. “They Rode for Them Part One” was performed in Brooklyn, NY on May 8th, 2016 with the illustrious Petr Kotik conducting The Orchestra of The SEM Ensemble at Willow Place Auditorium and in Manhattan at The Bohemian National Hall the following night. On May 31st, 2017, the completed orchestral version of "Distant Radio Transmission" for Orchestra and solo improvisers” (featuring Thomas Buckner's baritone voice and Roscoe Mitchell's soprano saxophone) was premiered to the world in Bologna, Italy. This served also as the Italian Premiere for “Splatter for Orchestra,” “Who Dat for Orchestra” and "Frenzy House for Orchestra and Solo Improviser” (with Giovanni Trovalusci once again on flute). These works were conducted by Tenino Battista at the helm of the Orchestra Del Teatro Comunale Di Bologna. On August 28th, 2017, the Czech Republic was treated to premieres of “Distant Radio Transmission for Orchestra and solo improvisers” (featuring Thomas Buckner singing baritone and Roscoe Mitchell playing alto saxophone), with conductor Petr Kotik and the Ostravská banda in Ostrava, Czech Republic. Most recently, on September 8th, 2017, an orchestra consisting of Bay Area local talent, Mills College alumni and faculty, including James Fei, William Winant, and conductor Steed Cowart, performed pieces from the “Conversations” series at the de Young Museum in San Francisco, CA.